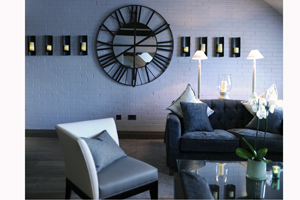 Macdonald Hotels & Resorts has opened its new 120-bedroom hotel in Windsor this week. The £10m Macdonald Windsor has the capacity to host conferences and events for up to 150 delegates in the Castle Suite, as well as space for up to 70 in the St Georges Suite. Smaller board meetings can be hosted in two executive boardrooms for up to 25 delegates in each. An additional two syndicate rooms for ten are available for breakout sessions. General manager Beverley Molmans said: "This is a tremendous and very exciting opportunity to work at Macdonald’s newest flagship hotel. I am eagerly looking forward to welcoming guests from across the globe through the doors."